All of these products and services will help you if your are looking to build or market your website. Feel free to browse away. Weebly is definitely one of the best drag and drop website builders on the market. Just click on the image, sign up and start building your website now. Wix is another cool website builder, the one thing i like about Wix is that the sites tend to look more high end due to the quality if images provided. Build a WordPress website for free using Site Rubix. Just click on the image and choose your website name. 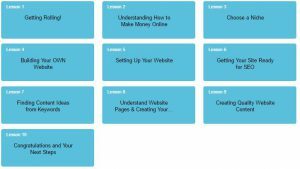 Learn about WordPress with this free training resource. Yoast do excellent tutorials on SEO for your wordpress website. Their detailed breakdown of what to do, when where and why. Will help you start driving good targeted traffic to your website.